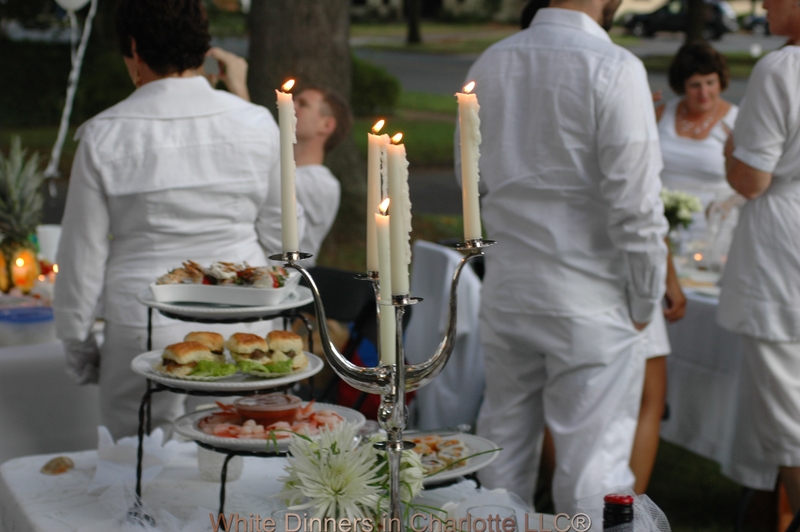 The September event, when it finally happened, was a great success! Saturday, at the initial scheduled start time, the sky opened and it not only rained but thunder and lightning. We did a quick survey and since most people were available on Sunday, we rescheduled. 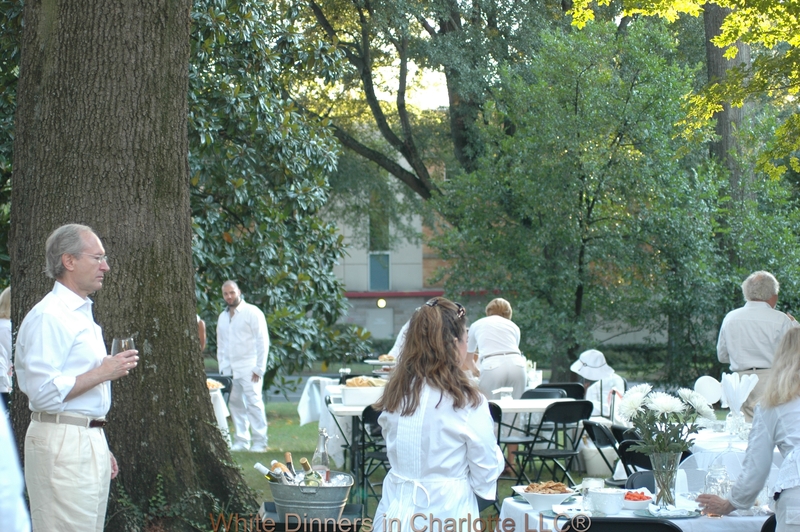 Getting ready to attend a White Dinner! Sunday was gorgeous weather! Behind the storm front, came lower temperatures and less humidity, which made it very pleasant to be outside. We washed and scrubbed the tables then set them into place. It took a team of us to blow up balloons. Next time, we are letting the professionals do it. 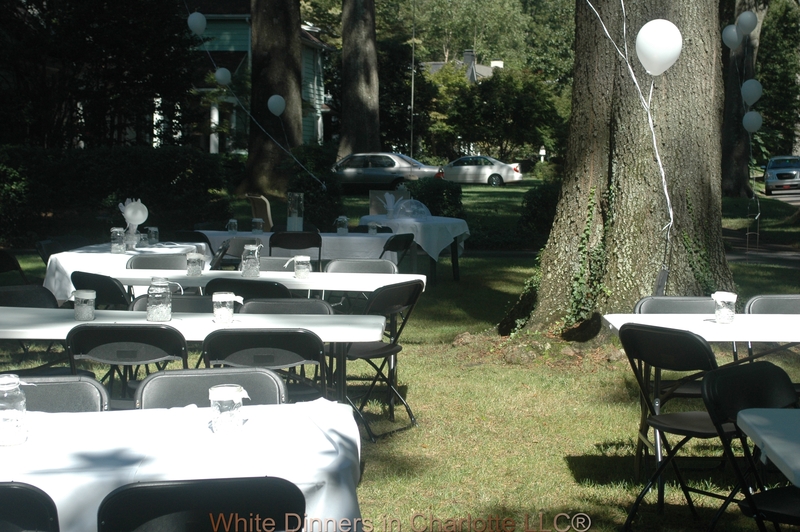 While it was fun doing it, we could all see how it would be a tiring chore at every event. After so many moving parts, the hour was finally upon us. 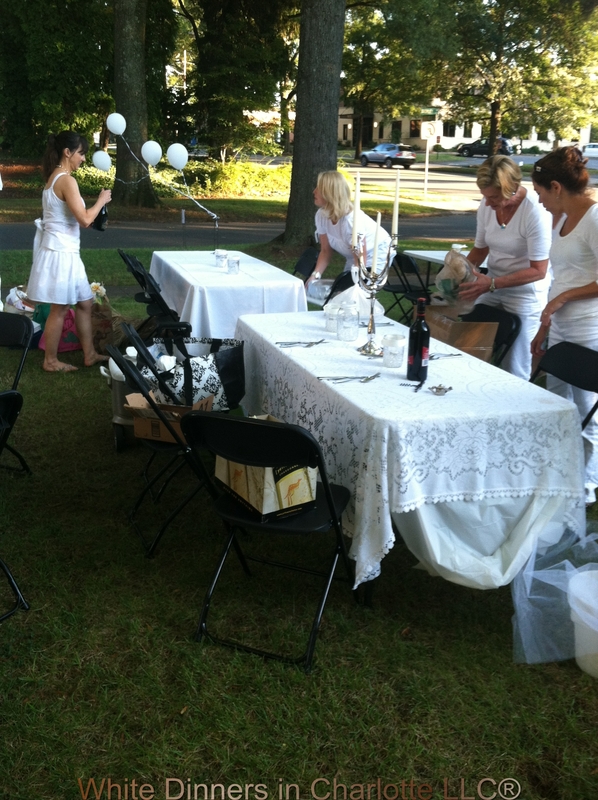 6:30 the first guests arrive to begin the table set up. They are excited and having a lot of fun setting their tables. 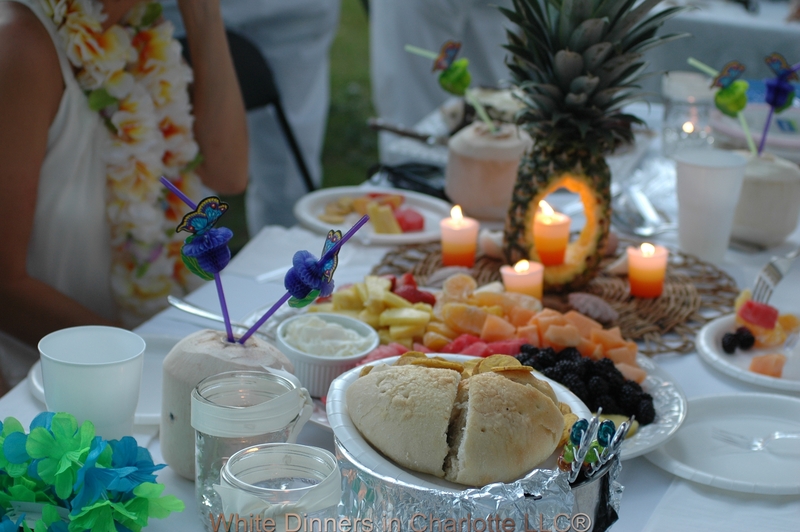 Carved pineapples,candelabras, lanterns, candles in glass jars and a tree full of white twinkle lights set the stage for a magical evening. People arrived as strangers and left as friends. The light during twilight was an amazing blue. The sky was Maxfield Parrish blue as twilight waned. You can see it in the sky in some of the photos. 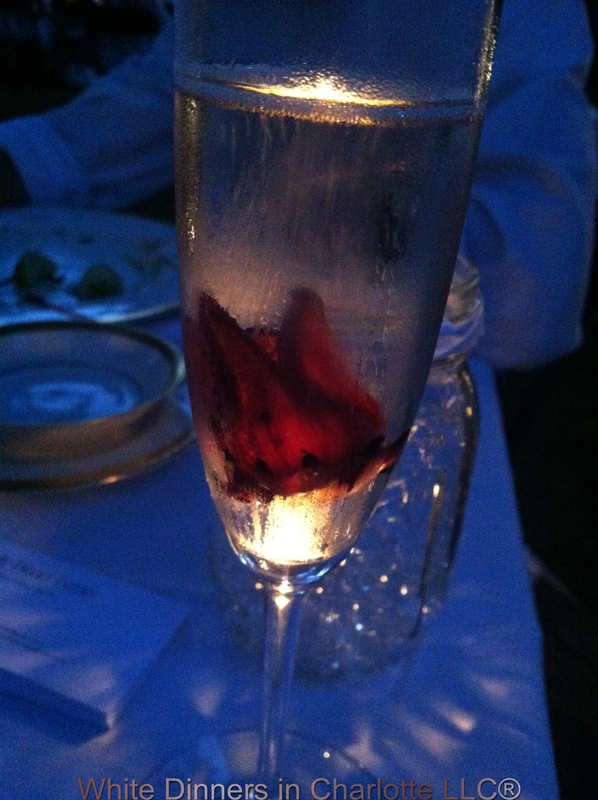 We put hibiscus flowers in champagne. 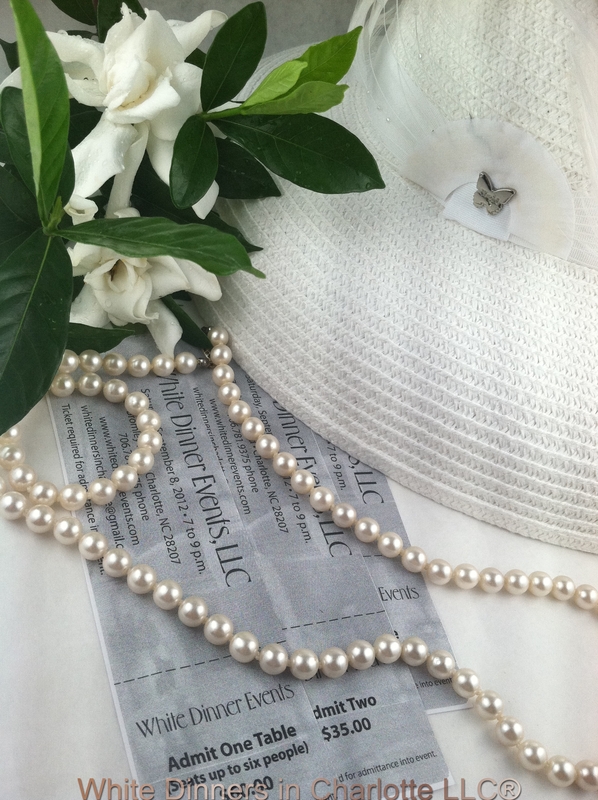 The flowers were preserved in syrup and a luxurious touch. Such a nice treat; Thank you ladies! 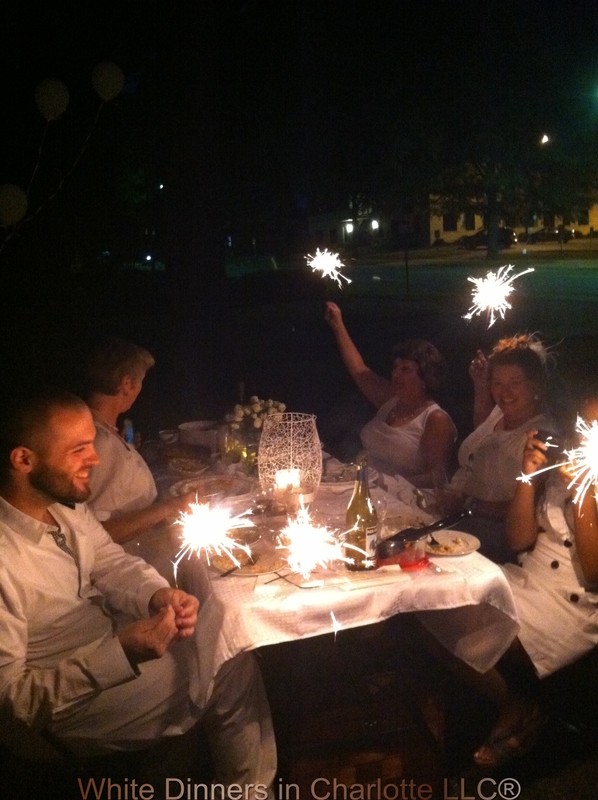 After it got dark, each table got a box of sparklers. 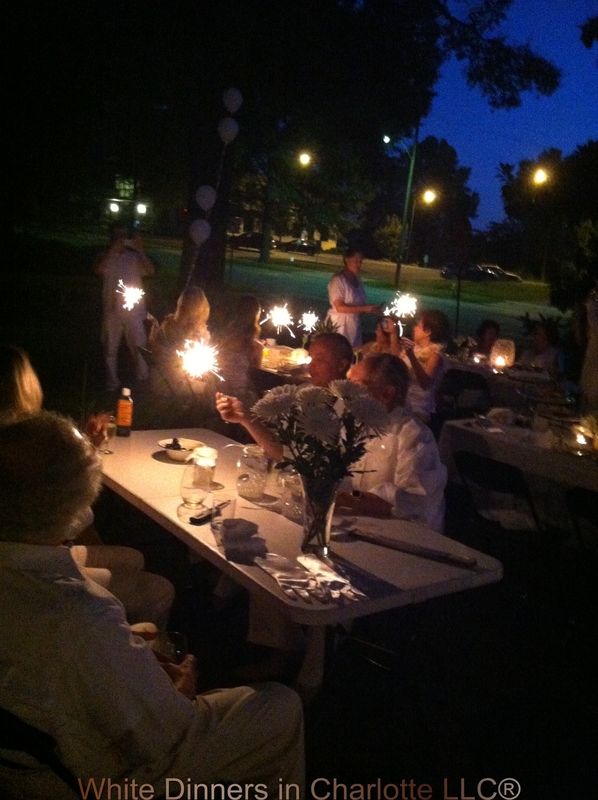 Everyone lit their sparkler at different times and it was so much fun! 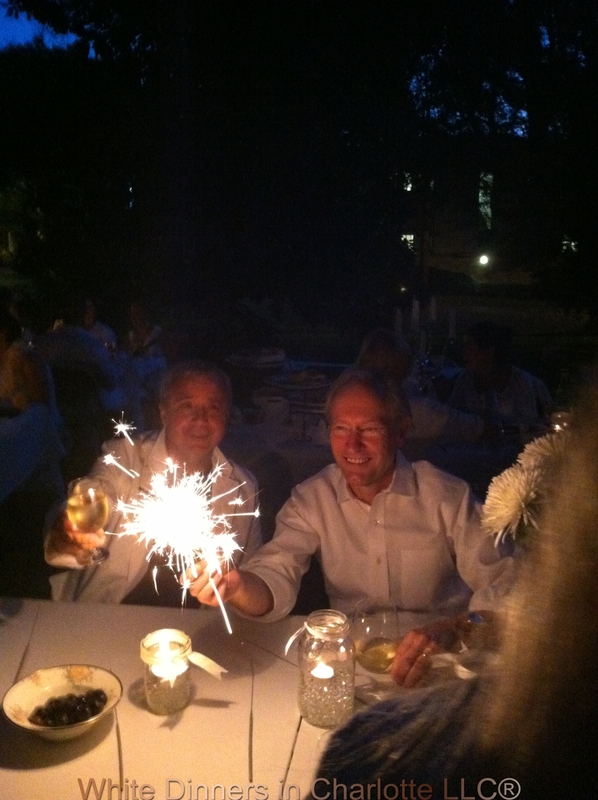 The sparklers made a soft light making for some nice photos. 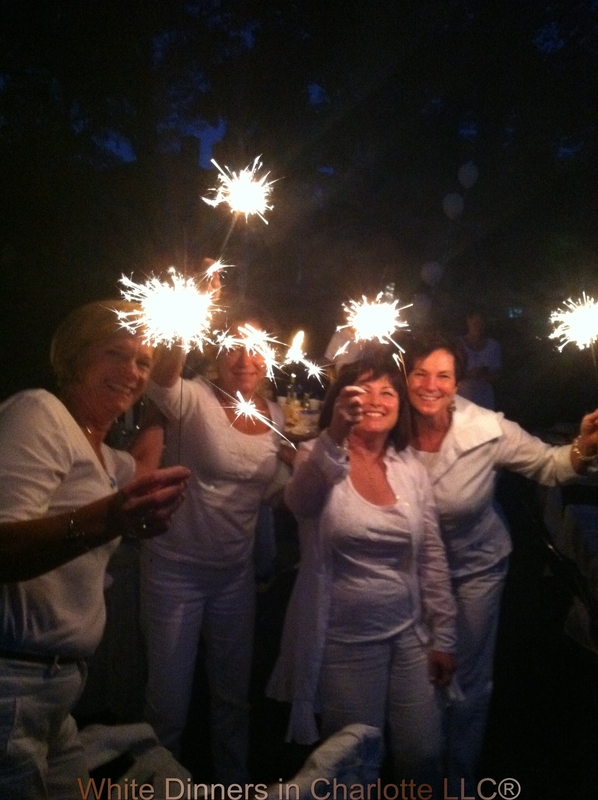 The sparklers lit up faces for great photographs. 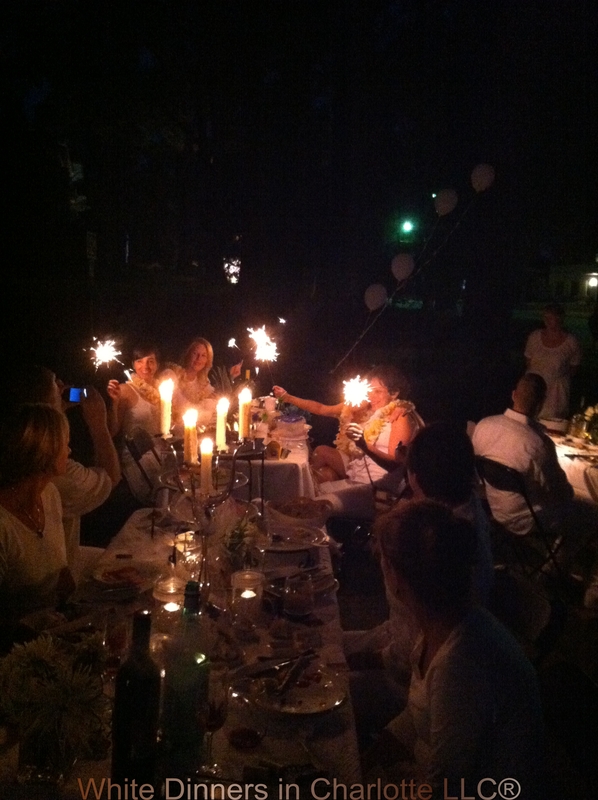 Each sparkler lasted for 1-1/2 minutes. You could see everyone having a great time. We talked, exchanged information, numbers and so many names! It was great to meet the names we have been corresponding with in e-mail. 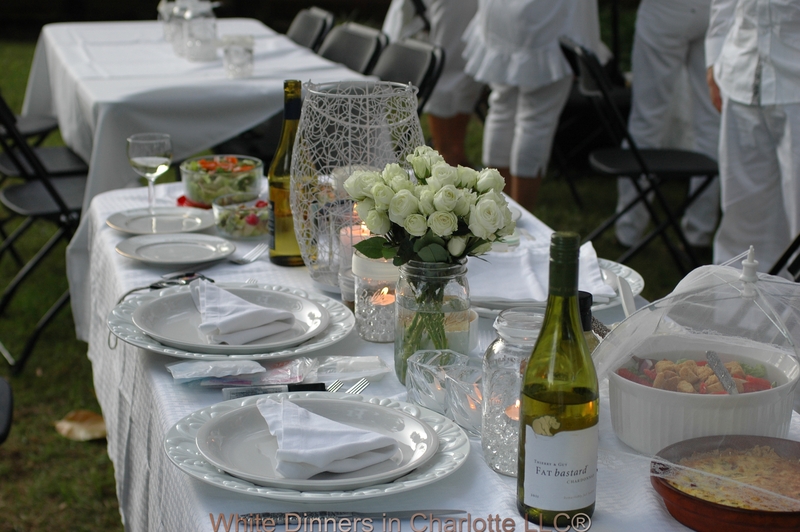 If you are interested in attending a white Dinner Event, send an e mail request to whitedinnersincharlotte@gmail.com. You will be kept informed of upcoming events. The events center around the time of sunset. 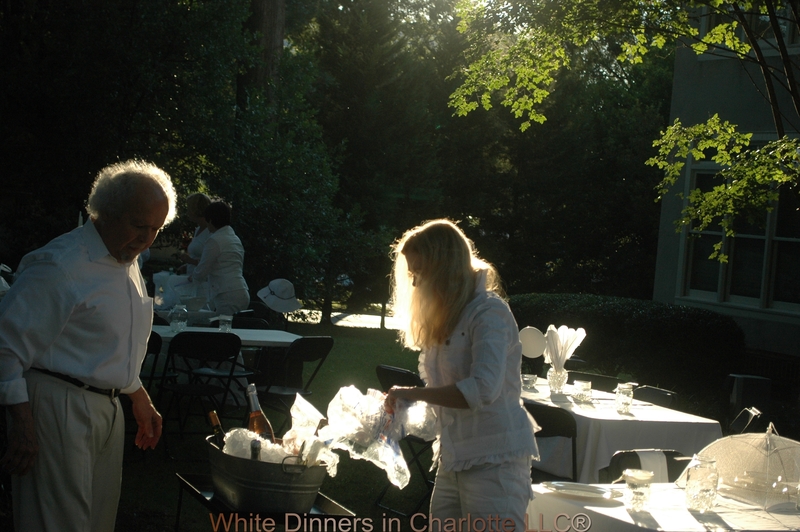 We schedule the event to begin an hour before sunset, move through twilight into night. This is why we schedule them on Saturday; so there is time to rest on Sunday. How fun! Looks like a successful event! 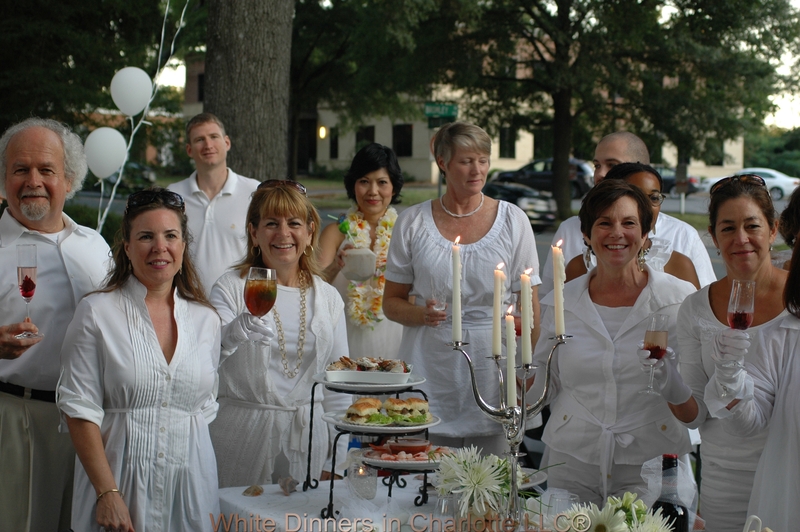 I saw photos of several other white dinner events, they look like so much fun. 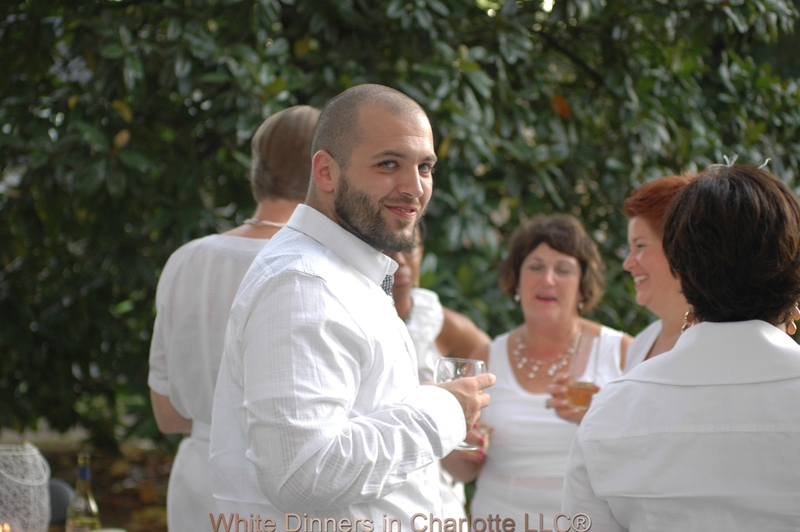 Love the photos….they make you want to be there. Pamela, it all looks SO lovely! 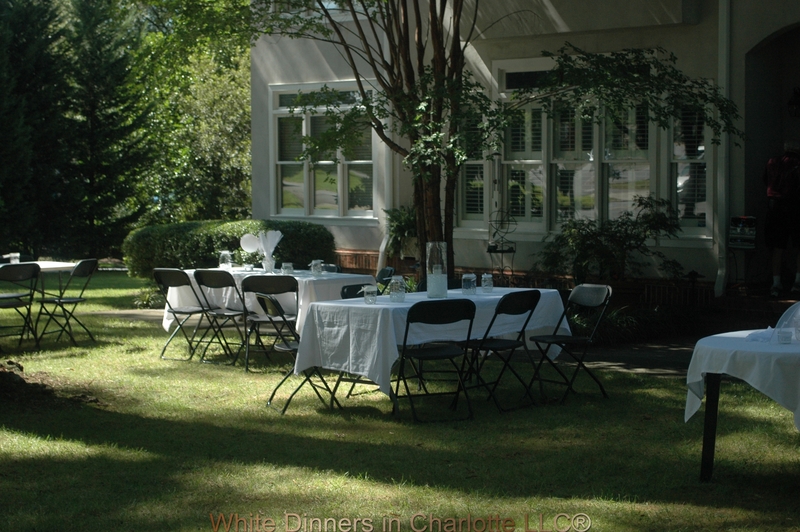 Especially with not a splash of colour to spoil the beautiful whiteness!